This week I talked with filmmaker Alexia Kosmider (Not Your Mama's Roller Derby, Sappho's Fire) about her new documentary, TransJourney, which is premiering at the Rhode Island International Film Festival this Saturday, Aug. 9. Coming just as the United Nations is mapping the legal environment for transgender people and Time is addressing the "T" in "LGBT" with Laverne Cox gracing their cover, TransJourney follows Sandra on her cross-country journey to share in the life of her child, formerly her son, now her "new" daughter Annabelle. TransJourney explores three women's personal journeys and the ways their lives have become intertwined and made stronger because of one another. In 2009 Annabelle transitioned to her new life as a woman in Seattle, Washington, and her mother, Sandra, who lives in Rhode Island, sets out on the cross-country trip to spend time with her daughter. Annabelle has a friend, Shannon, an older transgender woman she met through the meetings they both attended at the Ingersoll Gender Center in Seattle. After Shannon offered to talk to Sandra about any questions she may have, Shannon and Sandra became close friends, but they have yet to meet one another in person. 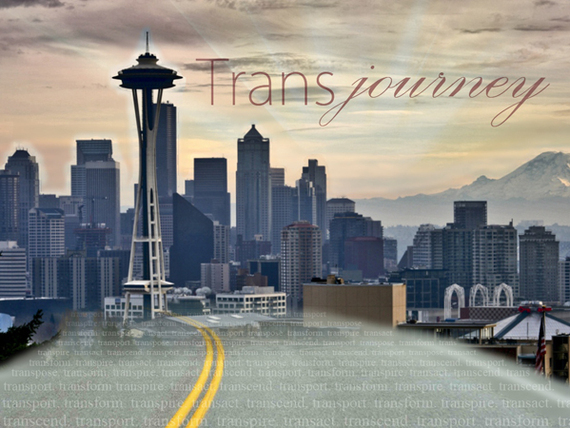 TransJourney is a quest of discovery of family, acceptance and identity. I'm very committed, maybe not as an activist but as a professor who teaches queer lit and film at RISD [Rhode Island School of Design], and also as a queer filmmaker. So I'm always not far from my passion, my work, and I think I do a lot in that realm of being available to students at universities, turning them on to good LGBT literature and film. Alexia Kosmider, co-director Blue Wade, and documentarian Michael Welty (the director of photography) make a tight, exceptional team for this timely breakthrough film. TransJourney takes us on those unsung back roads leading from openness to growth, acceptance to expression and community to support. Greater Providence PFLAG was one of the first LGBTQ organizations to come on board with TransJourney. One of their missions is to tell stories, and they felt that TransJourney tells an important story that benefits LGBTQ families. PFLAG has experienced more families reaching out to them that have members who are transgender, and they felt that TransJourney is a logical and important link to their own mission. TransJouney will make its debut on Saturday, Aug. 9, at 7 p.m. at the Rhode Island School of Design's Metcalf Auditorium in Providence, Rhode Island. For more information, visit shiftingvisions.com.